This is a simple and pretty way to wrap your corn husks. It is perfect for summer barbecues and provides a handle for enjoying your corn on the cob 🙂 Kids and adults love this! 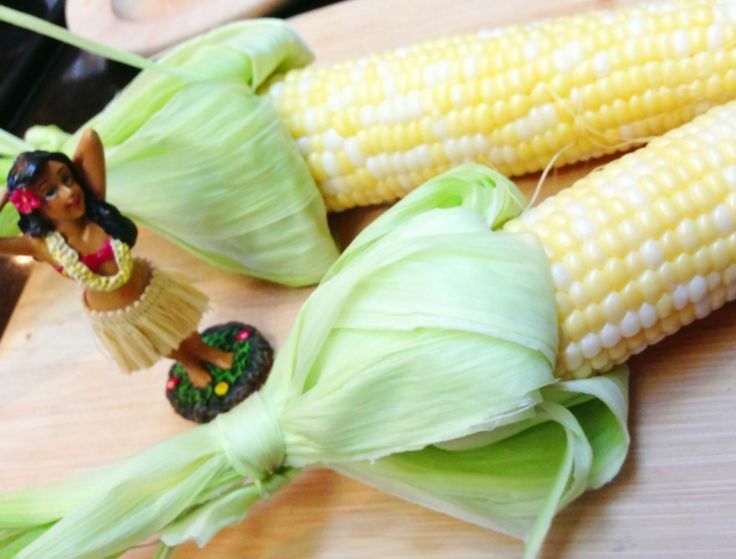 To make, simply shuck the corn 3/4 of the way, pull back and tie with husk. Enjoy!